TL;DR This is a journal of my first month of ketosis. Ketosis is when your body metabolizes fat instead of sugar as its primary fuel source. To enter ketosis you must eat fewer than 50 grams of carbs per day for a minimum of two weeks, and ideally 60-80% of your diet is fat. You can measure blood ketones with over-the counter-tests. Ketones are the preferred fuel for organs like your brain, heart, and muscles. Ketosis is safe and all humans show improved blood lipid profiles, profound anti-inflammation, and weight loss with lean muscle mass preservation in ketosis, better than any other diet. I had been "paleo" for about five years, which for me meant avoiding grains and most sugars. I was not striving for high fat, and I still occasionally craved sugar. 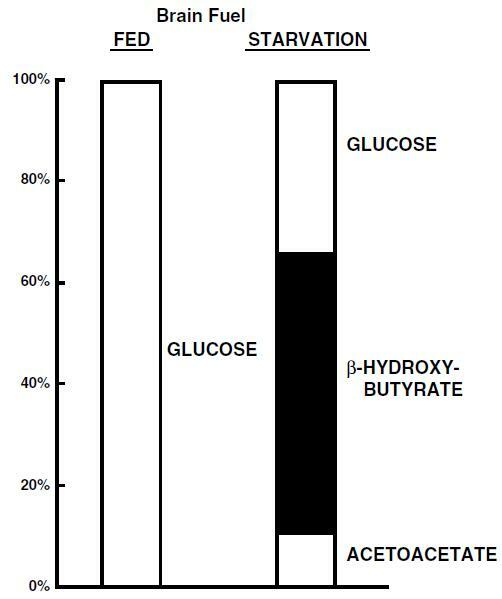 One way to know you've achieved ketosis is measuring blood levels of beta-hydroxybutyrate, or BOHB. It's the fuel your liver produces when it metabolizes fat. Your organs, especially your brain, consume it copiously. You can measure BOHB by pricking your finger with a Precision Xtra lance, bleeding on to a ketone test strip, inserting the strip into the Precision Xtra, and waiting. It will spit out your blood ketone density in milligrams of ketones per millimoler of blood. The (semi-arbitrarily) decided on level for a human to be in "nutritional ketosis" is a minimum of 0.5 mg/mmL. I was eating "low carb" for five years, so I figured this was easy, and I was already maxed out ketotic. Not even close! I'm in the "normal" range of 0.1-0.2 mg/mmL. Bummer. Side note: The test strips linked above are expensive at $3 per strip. You can also measure a different molecular byproduct of ketosis called acetoacetate with pee sticks, but they are considered useless after a few weeks, because your level of acetoacetate waste output goes way down. Your brain only uses about 10% of that stuff. Looks like I have some work to do! Let's ramp up the fat and really cut down on the carbs. My journey into ketosis was confounded by a stomach bug I picked up on my return trip from Israel. I will include all of my negative symptoms below, because I don't know which symptoms are associated with the stomach bug, and which ones are associated with ketosis. If you experience what I have, don't worry, it went away! During the two week induction phase, some people experience what's known as the "induction flu," characterized by feeling lousy in several exciting ways. Three days in: Gym day. Executed bench press, dips, and rock climbing. During and after the bench press, I had a pounding headache. It was so bad I had to sit on the gym floor for several minutes waiting for it to pass. This seemed a little early to be experiencing ketotic symptoms, so it may have been related to lack of nutritional uptake from the stomach bug. Four days in: Another gym day. Did several exercises, dead lift, overhead press, dumbbell raises and pull-ups. I felt so bad during the pull-ups that I had to leave early! It wasn't just a headache, it was a full body ache. I was planning to climb, an activity I love, but I had to call it quits early. At work, after lunch, there was an impromptu group push-up session. I managed to do 37, but my headache came back almost instantly, twice as bad as it was before. I had to sneak off to a conference room and sit down for 20 minutes before I could move again. My concentration felt impaired for the rest of the day. When I biked home, I tried to make a 90 degree turn to get in the bike lane, and fell over. Coordination seemed lower. Believe it or not, all of that was expected, and it's exactly why you are bad at burning fat when you exercise, and why exercise doesn't help you lose weight. As mentioned, your brain runs on 100% glucose, and a lot of it! 25% of the body's glucose goes to your brain. But guess what else normally burns glucose? Your muscles! I was trying to maintain a strenuous gym routine while not refilling glucose stores for several days. Long distance runners, or people trying to exercise with depleted glycogen stores, experience a very interesting phenomenon called "bonking" or hitting the wall. It's interesting because your body refuses to burn its fat stores! Even at 10% body fat you have 40x the amount of available energy from fat as your glucose stores will ever have. Why can't you use that energy? Your brain cannot switch fuel on the fly. In a strenuous time when you're not fat adapted and are out of glycogen, your brain demands a hard stop. One benefit of fat adaptation is that "bonking" is basically impossible, because you're always burning fat for energy. No need to rely on limited sugar stores! Five days in: Another gym day. My max dumbbell weight had gone down since leaving for vacation, but that day they were approaching pre-vacation levels. Only minor headache after workout, around the back of my neck. Six days in: Climbing day, returned to my previous climbing levels. Seven days in: Decided to measure my blood ketones again. Was seven days, less than two weeks, long enough to enter ketosis? I made it! My energy levels were good that day, and headaches were no longer bothering me. I stopped coffee completely. I wanted to measure how this diet affected me without huge doses of caffiene. (4 months later I'm still off it, but that's a story for Part III.) I started eating eggs in the morning, ideally four, with the occasional vegetable, like mushrooms. I started bringing bacon to work in Tupperware, and probably went through three packs in my first two weeks. A diet that makes you healthier and lets you eat bacon on a whim? What's not to like? During work lunches I would also snack on copious amounts of butter, up to half a stick per day. I also upped my fish game, as a recommendation of Voleck and Phinney, to get a full fish meal three times a week. Salmon was on the menu more often than not. For the non-meat fatty side, I indulged in avocados, removing the pit and filling the space with salt and olive oil. I also made tea with coconut milk as the filler, which is pure saturated fat. I started sautéing vegetables instead of boiling them (kale, for example), to preserve the nutrients normally lost in the water of boiling. I sautéed the veggies (and other meats) in butter, lard, tallow, bacon grease, duck fat, and any other animal fat I had around. Are you drooling yet? One interesting aspect of humans not in ketosis is that elevated insulin levels from moderate to excess sugar intake tells your kidneys to retain salt! Your kidneys say "ok, fine, but we're retaining more water to keep the salt levels diluted safely." You then get more water by volume in your blood, leading to high blood pressure. That's correct, sugar, not salt, raises blood pressure. When you're in ketosis, your kidneys don't get the salt retention signal, called the naturesis of fasting, so you should increase your salt intake. 3 to 5 grams a day is recommended. One option is to drink bone broth or soup broth. I opted for both, making my own bone broth, and buying store made chicken stock to drink. I also have found two amazing butchers in San Francisco, Olivier's Butchery and 4505 Meats (in addition to my all time love Bi-Rite), helping supply me with some amazing fatty animal parts and interesting organs like liver pate, head cheese, cheek, tongue, etc. My culinary world is expanding farther than I ever thought it would. I should point out that all of this food is local, organic, and humanely raised especially the meat, thanks to the amazing butchers and groceries listed above. It really is cheating to live in California. My energy levels had risen to higher than they were before, even without coffee. I no longer had a 3-4pm crash and completely lost my occasional cravings for sugar. I do have the occasional craving for bacon, but who doesn't? My workouts suffered immensely in the first few days, but by the end of the first month had returned to their pre-vacation levels. My stomach flu had passed, which may have been part of my symptoms, and I was feeling pretty good to very good. My weight had actually gone up by a few pounds, but my waist circumference had gone down, which is a subject for Part III. In Part III I talk about longer term keto adaptation, continuing changes to my body and lifestyle (including cholesterol levels), and what I've learned along the way. If you enjoy this series on ketosis, consider following me on Twitter or buying me a coffee :).